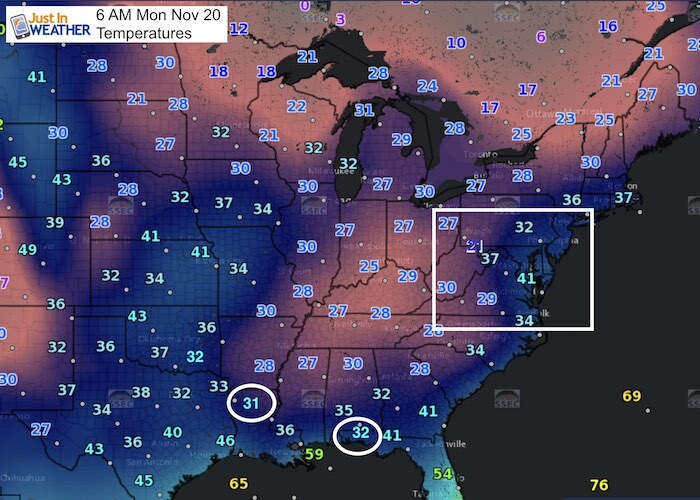 At 6 AM this morning, every state in the US has a weather station reporting freezing temperature. Yes, that includes the western Florida panhandle. 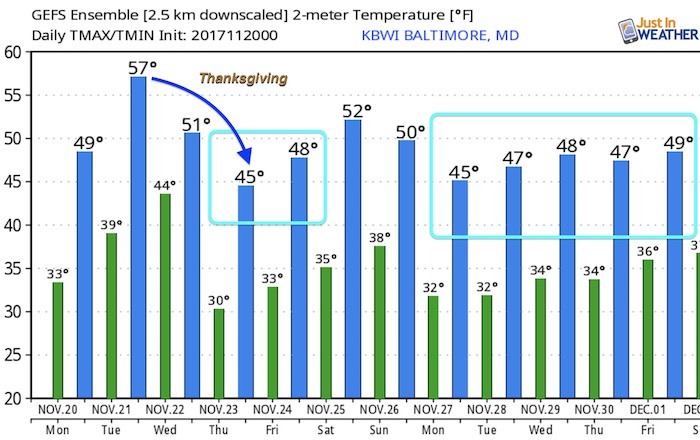 This does verify my outlook two weeks ago that Thanksgiving week would be cold. 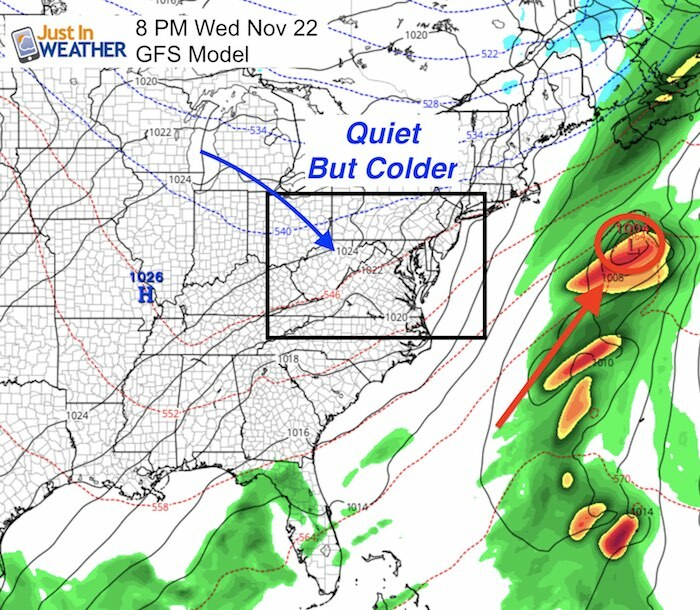 But while there will be a little warm up, more cold air is on the way for Turkey Day! 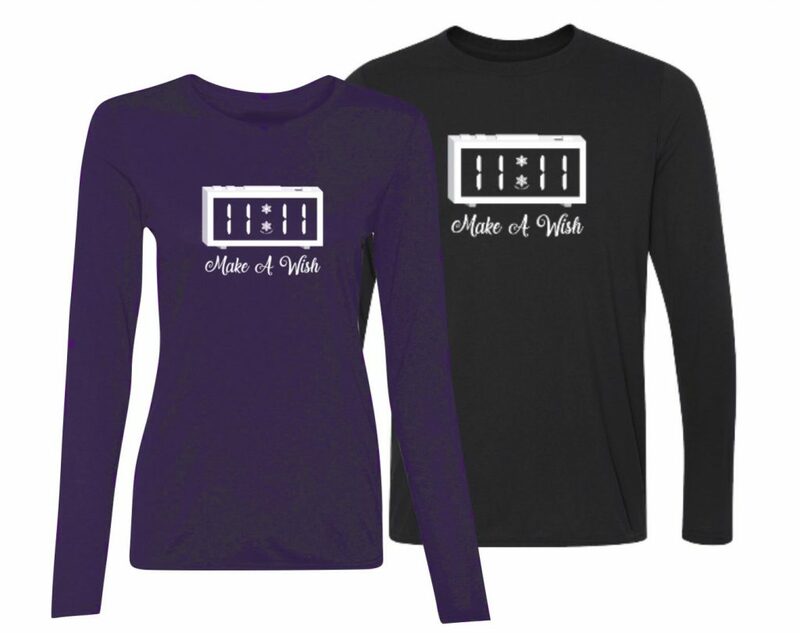 Please remember to sign up for my email list. Facebook may not show you every post, but I can notify you with my daily info. 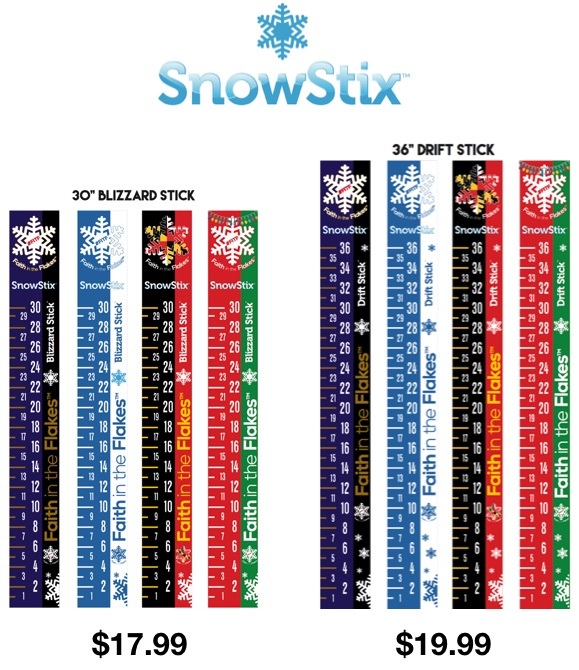 I need to apologize as I didn’t get to announce the flurries we had last night. 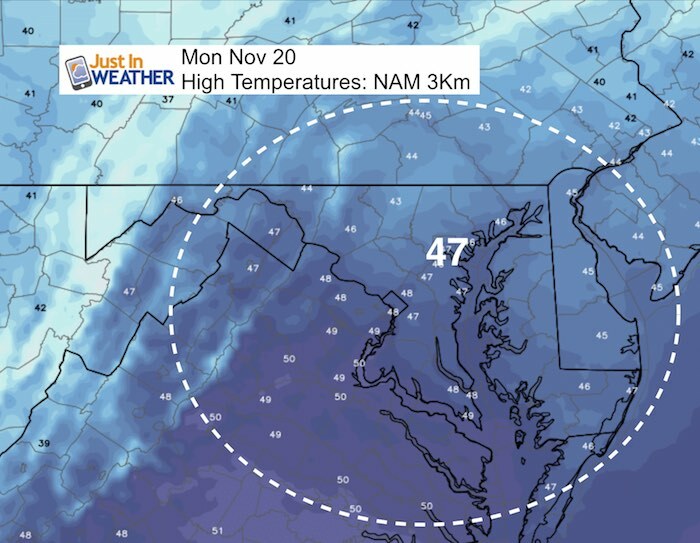 Yes, some flakes crossed the mountains and reached into central Maryland and southern PA Sunday evening. 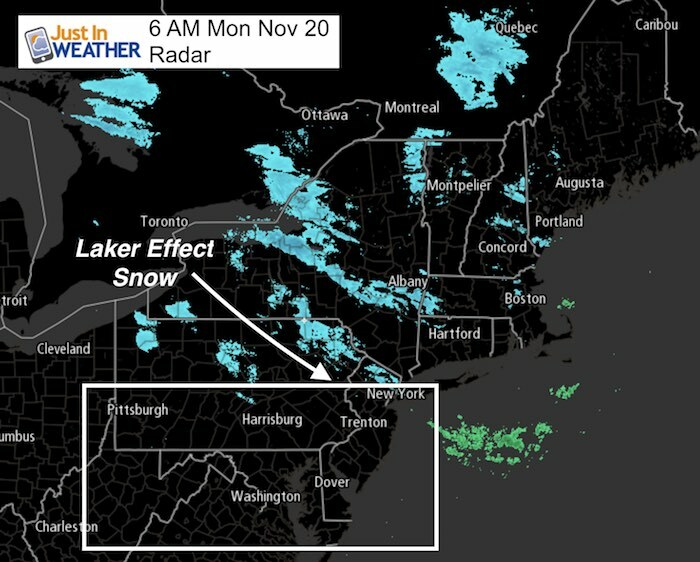 The bands have retreated north into the Poconos and upstate New York. The snow bands were expected earlier in the day, and nothing stuck, but it did happen here. Now we have a relatively quiet week to look forward to. The Thanksgiving outlook is below to verify another point I made last week and with my winter outlook. This is important! 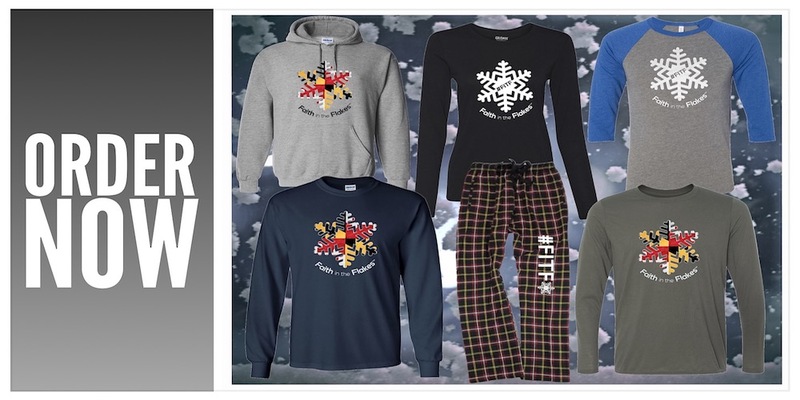 FITF gear is here: Snowstix, Shirts, and PJs are available and ready to deliver. See the links at the bottom of this post. The wind is with us this morning, but will ease this afternoon. Temperatures will recover as the wind eases. This pattern of overnight events seems to really be reinforcing itself. Here is our next col front that will bring rain after midnight into early Wednesday. The best chance of rain will be in southern Maryland and the Delmarva. But most of Wednesday will be dry, must windy and turning cooler.